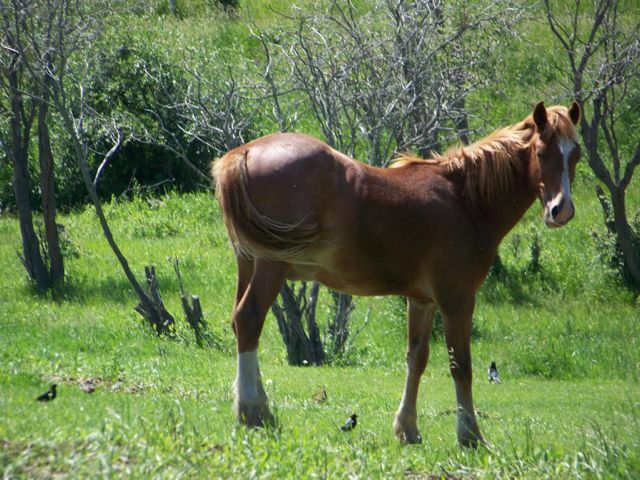 This is a photo of a young wild horse from the Mesa Butte area, west of Millarville, called Mesa. Last year a couple were riding out there and came across a foal without a herd. As they rode off the little guy began to follow their horses looking for company. When they got back to their trailer he was still with them and acting out of kindness they loaded him with their horses and took him home. They cared for him over the summer and then noticed he had a hernia. The people this spring took him to Moore and Company where the vets there determined that although the hernia will not affect his health, it was inoperable. 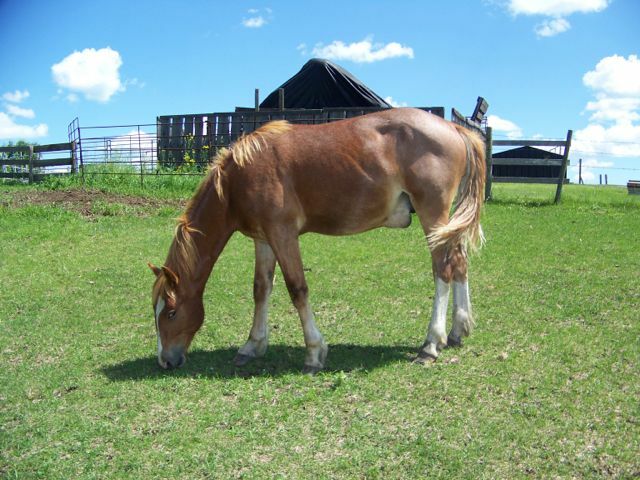 As you can see the hernia is large but you may also see it has not affected his growth or health as he is a yearling now. 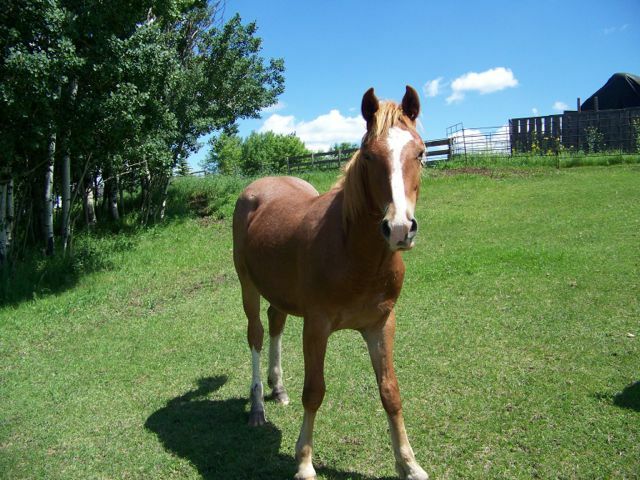 The people who took him in had hoped to make him a riding horse but now that is impossible and so they are just looking for a new home for him where he can just live and grow. If you would like to give Mesa a new home send me an email and I will put you in touch with his humans.